Whether you need to have some trees cut down, debris hauled away, or some simple chipping of logs, residential land clearing is a job best left to professional land clearing contractors. 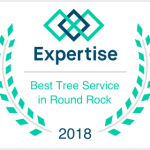 The experts at Arbor Oaks Tree Professionals offer exceptional and safe tree clearing services for the clean, open space you need on your property. Professional tree clearing services are essential to the start of any large residential landscape project, but also a necessary part of handling high-risk trees. Although terrain can be about as unpredictable as the weather in Texas, Arbor Oaks knows what it takes to get the job done. Our record of success is built on our dedicated team of land clearing contractors, with decades of knowledge and a fleet of Bobcat heavy-duty equipment. Rest assured, you’ll have highly skilled experts clearing trees from property with the safest protocols. Arbor Oaks residential land clearing is trusted in neighborhoods from Georgetown to Austin and beyond. From heavy timber removal to fine material mulching, we can complete the job right – and on time, every time. We aim to not only meet your expectations, but exceed them, and we will not leave your property until it meets the most demanding standards. When you need tree clearing services at your home or around your neighborhood, go with the region’s top land clearing contractors. Arbor Oaks Tree Professionals are ready to meet for a consultation when you are. Call us at 512-240-6047 today.